to M-Bar-C Horse Ranch about 3 miles down our road by Mutiny Bay. Later, John, Kimmer, Lee, and Jan went too. 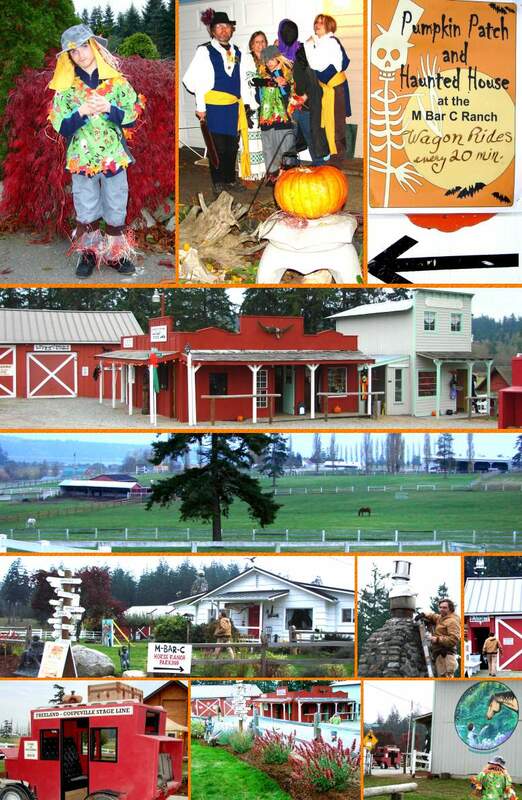 The ranch is a non-profit horse ranch for kids of Puget Sound to enjoy. It has horses to ride and a small western town to explore. John has been volunteering there lately to install a new stove. in our driveway before going to the ranch. 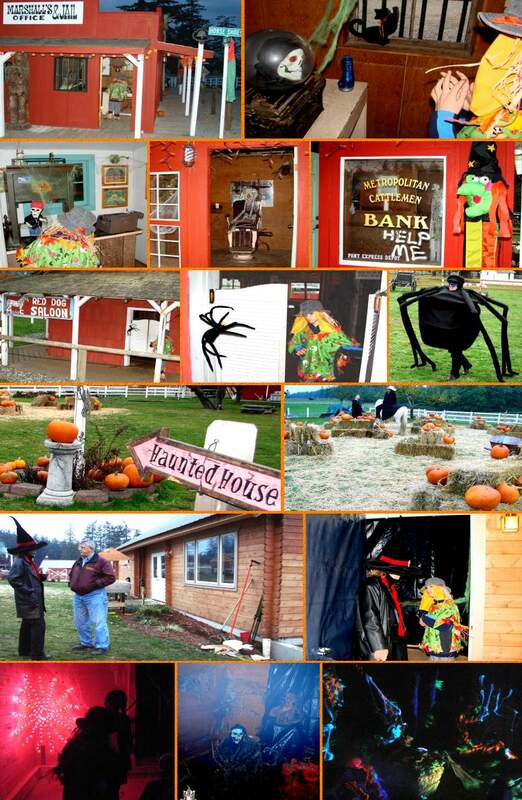 The western town was decorated for Halloween. A view of the Ranch pastures and barns and Mutiny Bay in the distance. John finished up his installation of a stove in the ranch house. Gio by the big mural on the side of the town's hotel. at the corner of Mane and Horse Shoe streets. and there was a ghost in the Bank. The Saloon had big spiderwebs inside and a giant spider outside. There was a pumkin patch beside the haunted house. before she invited Gio into her haunted home. who were really friendly volunteers mostly from NAS Whidbey. Digital Photographs by Norm Boynton, Copyright 2007, all rights reserved.